Banish unsightly shaving rash and discover the pleasure of a silky-smooth shave with System Jo’s Energy shaving cream. Carefully created for use on any part of your body (and yes, we mean any), its smooth formula lets your razor glide across your skin. Cool and soothe after shaving with this intimate after shave gel from s.HAIR. Especially designed to work on sensitive areas, the formula regenerates skin to help prevent skin irritation and leave you feeling silky soft. Fresh and fruity, the Sliquid Smooth Mango Passion Intimate Shave Cream is formulated to deliver a close, moisturising shave. What's more, the formula is non-foaming: no bubbles make it oh-so-easy to see and groom your hair with ease and style. 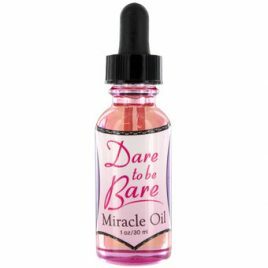 Miracle Oil is the natural answer to shaving bumps and waxing irritation. Massage a little oil into the skin after waxing or shaving and the nourishing lotion will heal, soothe and prevent itching. 30ml formula for taking anywhere! Experience a smooth shave and silky intimate area with s.HAIR's Clean and Shave Gel, especially formulated to be gentle on sensitive skin. The smooth gel effectively cleanses, lathering to a thick foam in water to promote a close and safe shave.